Ever wonder what to make with the leftover holiday ham? I think my family loves to anticipate this soup more than they enjoy the ham itself. 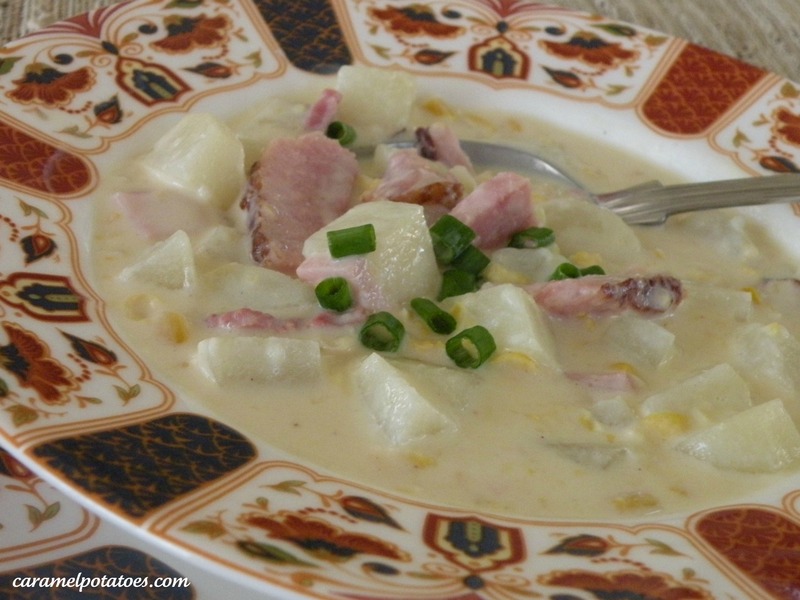 Warm chowder with potatoes, ham and corn- comfort food! Only problem again is this is another of those recipes you just make . . . . no real written recipe. No worries, I made a batch and wrote it down so you could have it! This chowder is a tradition in our home and perfect meal to share with family and friends during the holidays – enjoy it! Melt butter in a large pot, add onions and cook until tender. Stir in white pepper and salt. Slowly add the flour to make a roux (a thin paste). Stir in milk and cook over medium-low heat to thicken (be careful not to let it scorch- stir constantly). Add cream, corn, ham potatoes and brown sugar*. Heat thoroughly on low heat, then turn off the heat, cover and allow to sit for about an hour to let the flavors blend. Reheat on low and add fresh ground black pepper before serving. *Note: if you use a Honeybaked Ham or one from Costco with the sugar glaze, use the sugar coating and the juices from the ham to sweeten the chowder a little. If you do this you won’t need the brown sugar. If you use regular ham, you’ll want to add a little brown sugar. 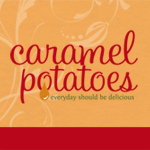 It shouldn’t be sweet, but just a hint of that brown sugar – just taste to make sure you get it just right!